Here are some additional pictures of my entry. I have had this wooden shrine (5 1/2x 9x 2) for ages. It jumped right out at me when I saw the image and word prompt for this challenge. Since the word prompt is ‘secret’, I searched for a quote that would tie it into the bird theme I wanted to use. 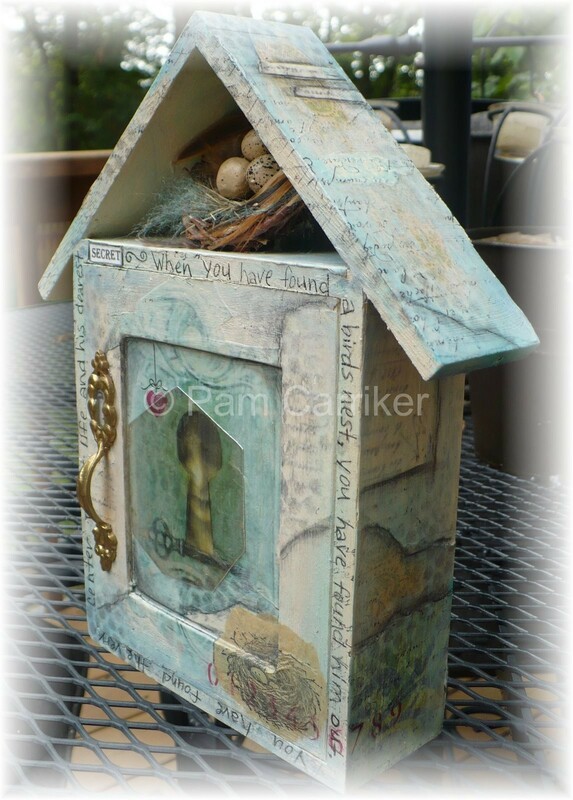 I found the perfect words, ‘When you have found a birds nest, you have found him out. You have found the very center of his life and his greatest secret.’ I found this quote after I had completed the piece, which sad to say is often the case for me. It seems a backward way to go at it, but it always seems to work out well for me-lol! It was fun using some of my paint techniques on something other than canvas. I also used mica to highlight a couple of areas, including the womans face. 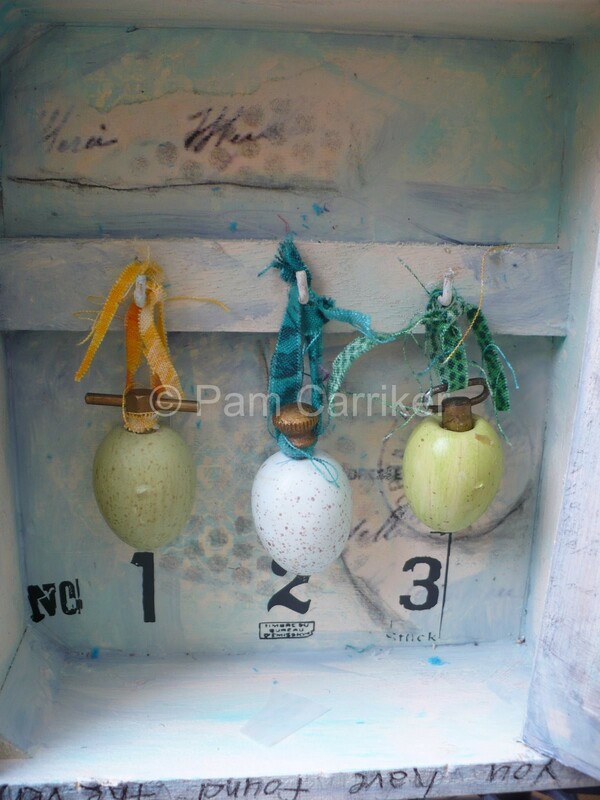 I also added a sweet little birds nest with some feathers and fibers, an old door pull with a face peeking out, some lovely little eggs with bits of hardware attached and some little scraps of cloth to hang them by that are suspended from little hooks. It is hard to capture the depth of the piece. 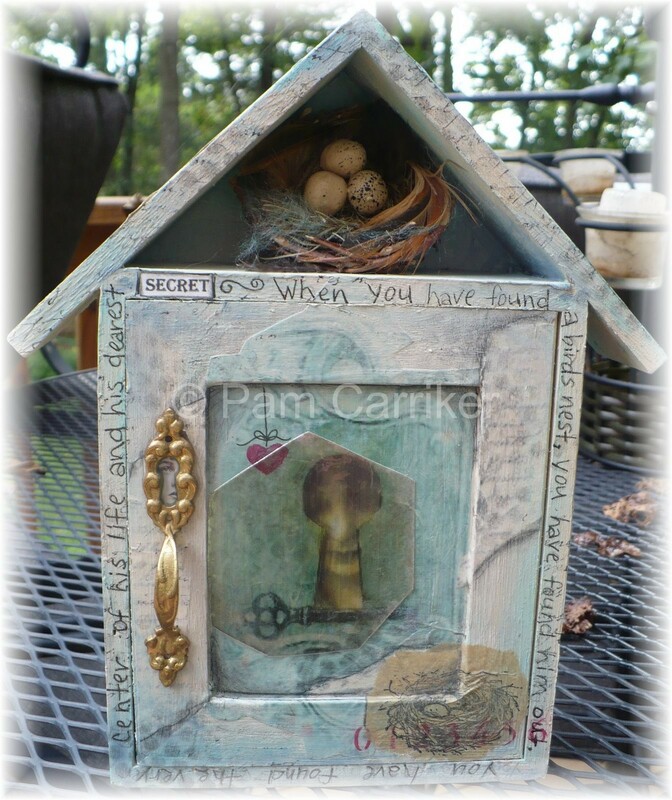 Layers of papers and paints, and stamped/stenciled images, have been worked into the background. I hope you will all check out Mind Wide Open when the voting begins, Friday the 8th. From the amount of eye candy that was there last month, it is sure to be a treat! I really love what you have done with your shrine. It makes me want to revisit my mirror and add some more layers and details. Thanks for the inspiration! Beautiful and sweet! 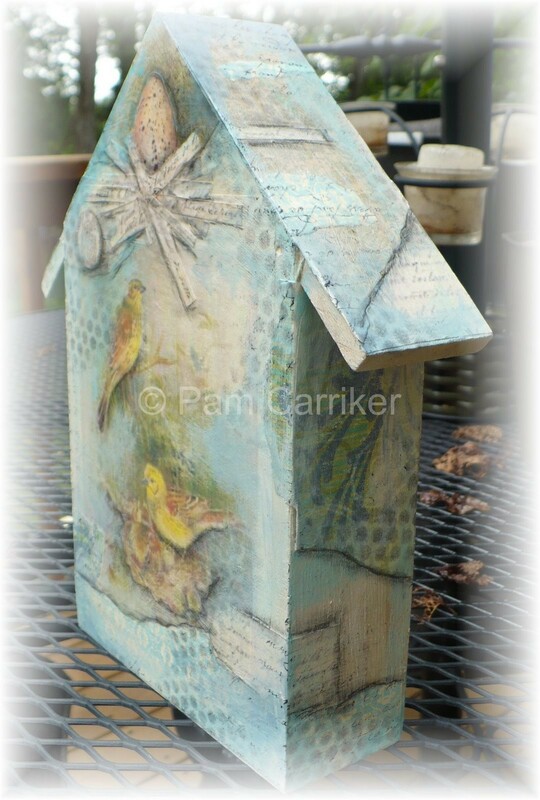 Love the bird/house idea!! Ohhh wow I love your house. This is so amazing Pam!! 🙂 WOW! Pam, you have outdone yourself!! I am amazed at your talent! You should teach an online class!!! I would definately sign up for it!! 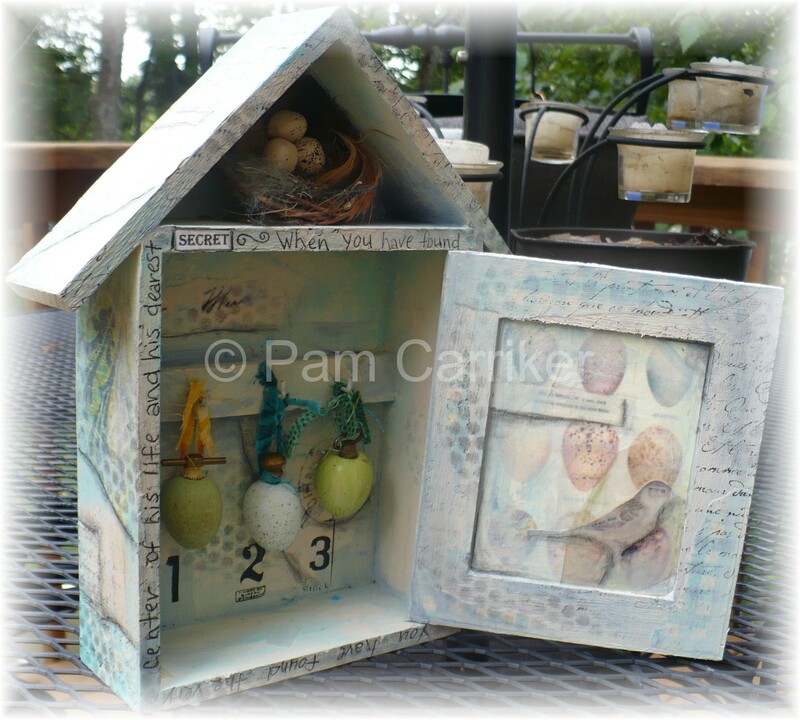 Pam, this is gorgeous…you have such talent…there is so much that has gone into this and I love the soft quality it has.well done, my friend.